Anne Manns grew up shelling peas with her grandparents in their vegetable garden, and her Spring '19 collection is inspired by that very memory. 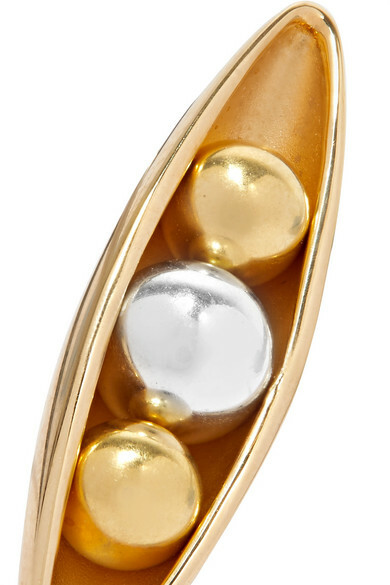 These 'Eadie' earrings have been handmade in her native Germany and cast in the shape of a tiny pod, with three peas nestled inside - two gold-plated and one silver. 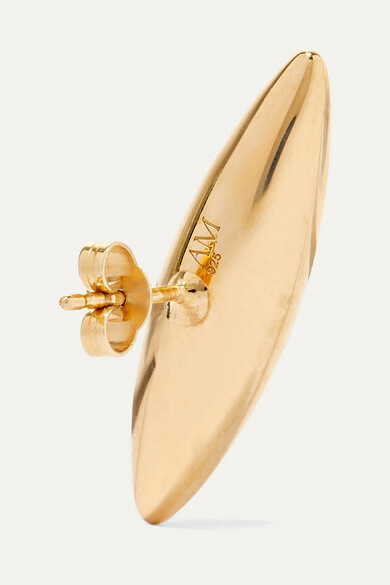 They'll complement a range of other shapes, so wear them with the matching 'Eadie' ear cuff, or a pair of angular hoops. Shown here with: Khaite Shirt, Joseph Blazer, Chloé Sweater, Goldsign Jeans, Anne Manns Ear cuff.